We develop bioinformatics tools and resources to assist understanding many aspects of life science, from molecules to ecosystems. We strive to understand the diversity and function of life systems by leveraging “big data” in omics-life science. 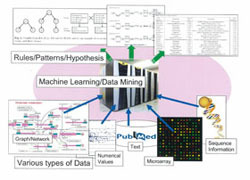 Our studies include (1) the genomics and evolutionary biology of viruses, (2) eco-systems biology of microbial communities, and (3) the development of bioinformatics tools for medical and industrial applications, including the GenomeNet integrative genome knowledge resource (https://www.genome.jp/). 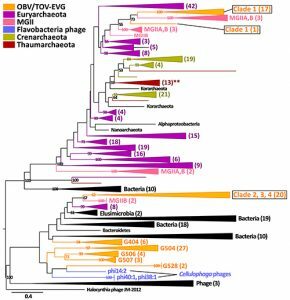 Phylogenetic tree of archaea viruses discovered from marine metagenomes. Our laboratory develops algorithms and mathematical models for bioinformatics and systems biology. 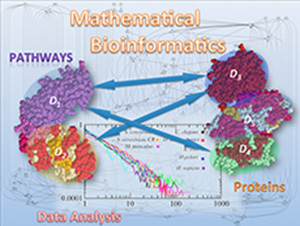 Research topics include inference and analysis of various types of biological networks, prediction and analysis of protein/RNA structures, statistical models for sequence analysis, and scale-free networks. In modern life science, cellular phenomena can be illustrated by wired graphs such as gene regulatory networks and metabolic pathways. Thanks to advances in technology, we have access to vast quantities of diverse data to study the structure and dynamics of biologically accepted networked systems. Our objective is to develop efficient computational techniques to understand the network structure and dynamics from various data of the molecular components of cells. 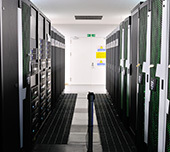 The GenomeNet Project Management (GPM) Office provides (1) computational resources, including massively parallel servers of Institute for Chemical Research, and (2) an integrated database, called GenomeNet (https://www.genome.jp/), for a variety of life and medical sciences information. The GPM Office was established in the Bioinformatics Center in 2011.